I made this a week ago today. My father-in-law had broken his hip and was in the hospital. We had been back and forth visiting him. Sleep was minimal and nerves were frayed. 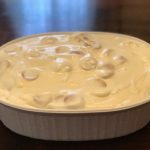 This situation called for my husband’s favorite banana pudding but honestly I just couldn’t muster the strength. 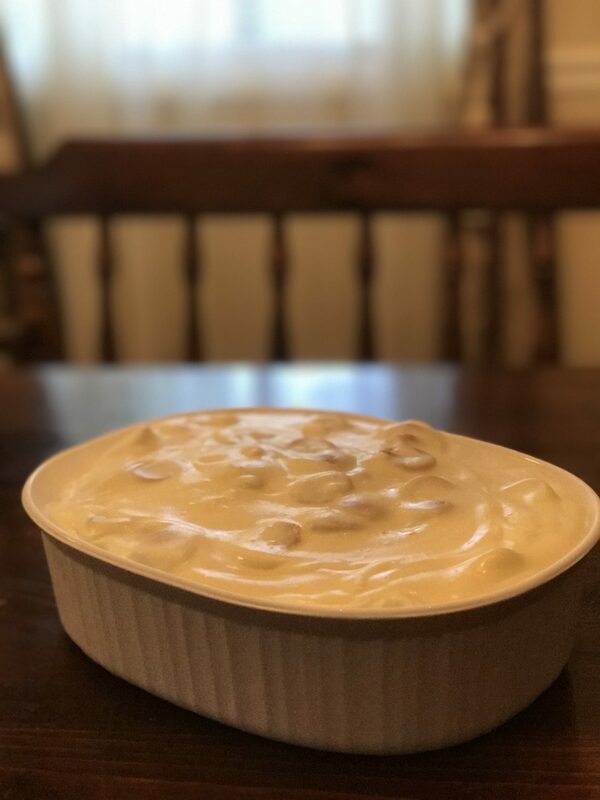 His favorite consists of a magnificent homemade pudding – stirring multiple batches of pudding until arm fatigue sets in, sweating over a double boiler, endlessly layering cookies and bananas and then finally – a layer of lightly toasted meringue – glistening on top. I make it – maybe – once a year. I needed something almost as delicious but much, much faster. And this recipe delivered! 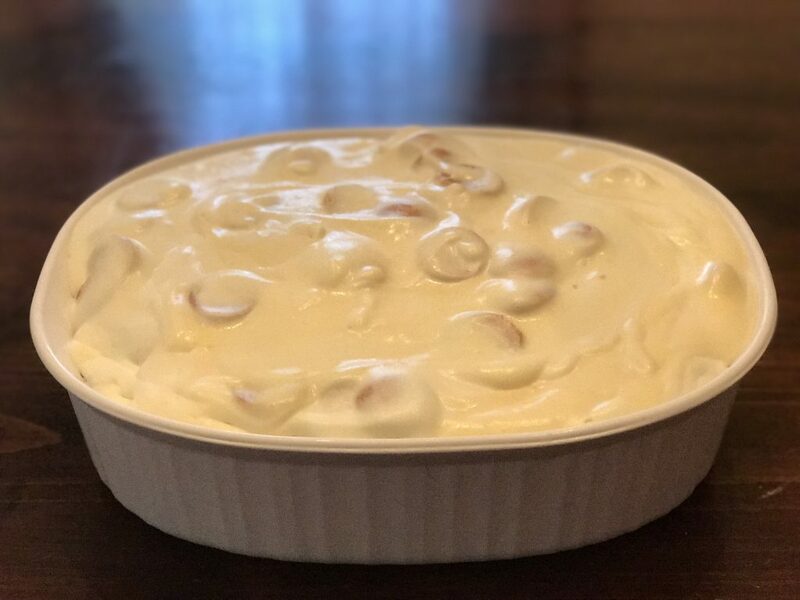 I found it on Pinterest and it’s called Magnolia Bakery Banana Pudding. You can have it too! You will need 5 minutes tonight and then 10 more minutes in the morning. 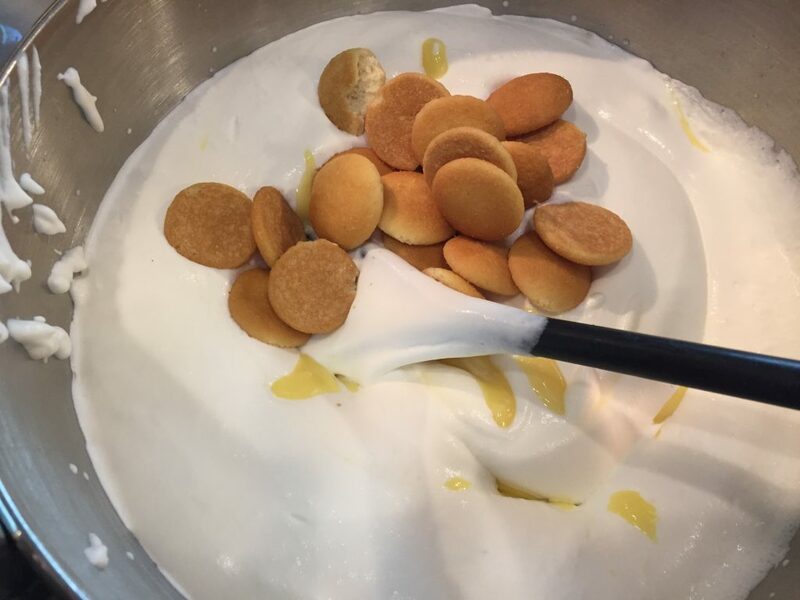 By lunchtime tomorrow, you will have your own amazing banana pudding plus your own fan club. 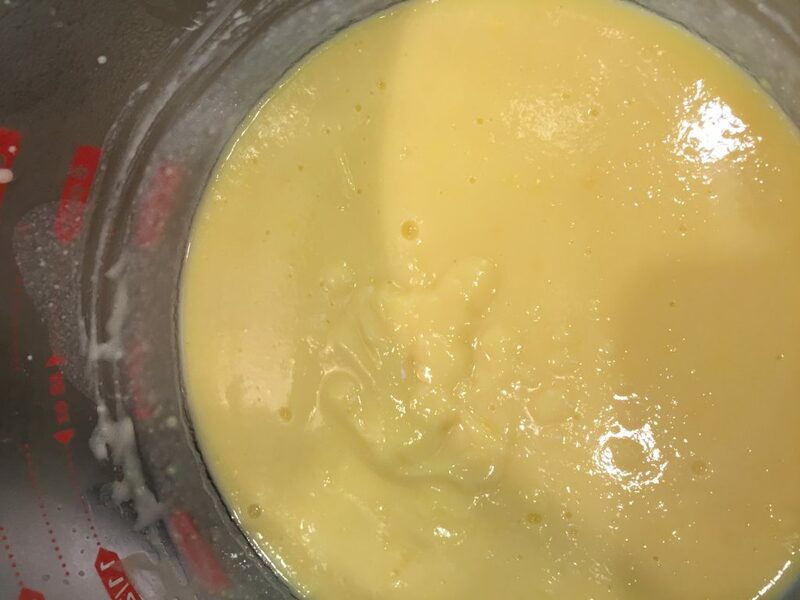 In a medium mixing bowl, whisk the instant pudding mix, the sweetened condensed milk and the cold water until smooth. Cover with plastic wrap and stick it in the fridge. You are almost half done! Go to bed. See you in the morning. In the morning, your pudding should look like this. All nice and set up. You should be able to turn the bowl on it’s side and the pudding will just stay put. Almost time for step #2. But first, coffee! While I was drinking my coffee, I put my mixing bowl and whisk attachment in the fridge to chill. Chilling the bowl will help you whip the cream more quickly. 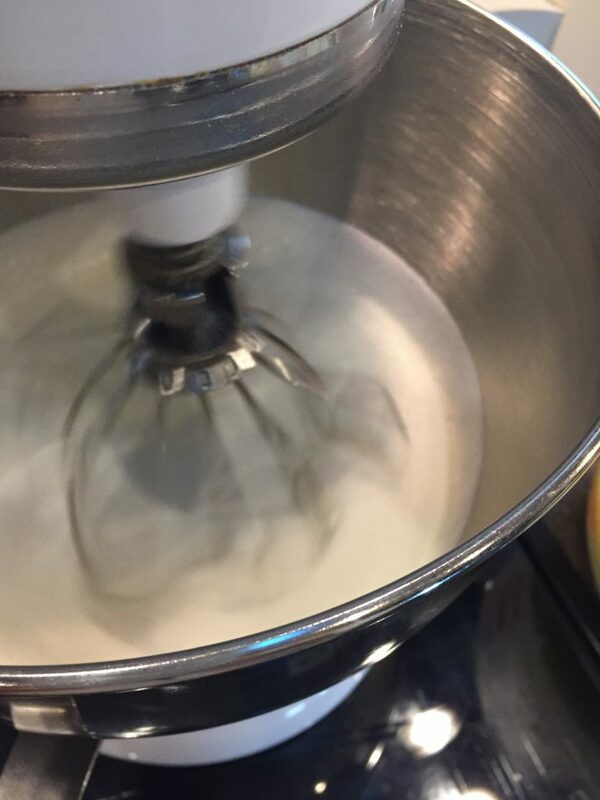 Beat the cold whipping cream in a stand mixer with the whisk attachment. 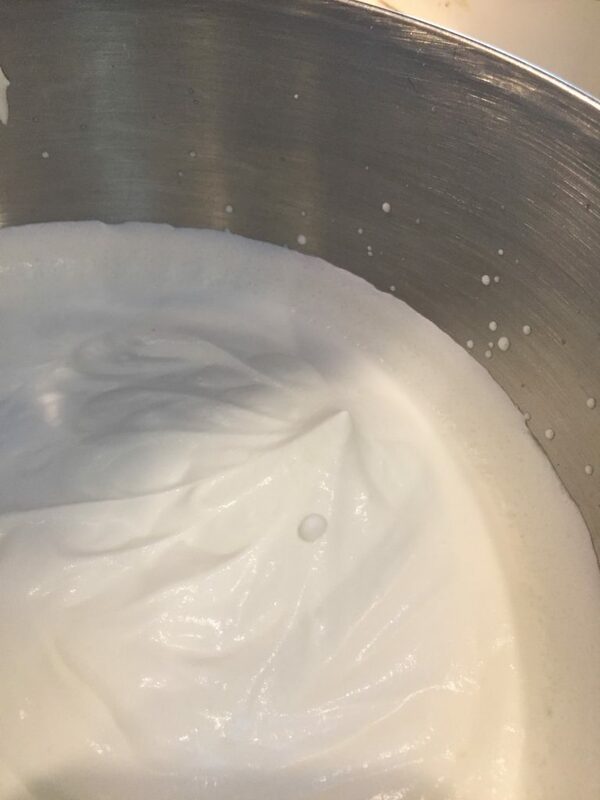 Continue beating until the cream gets fluffy and holds a stiff peak. You will know you are there when you pull the whisk attachment up and the cream stands up where the whisk was. If the cream folds over and won’t stand, this is called a soft peak. Keep whisking until it stands. 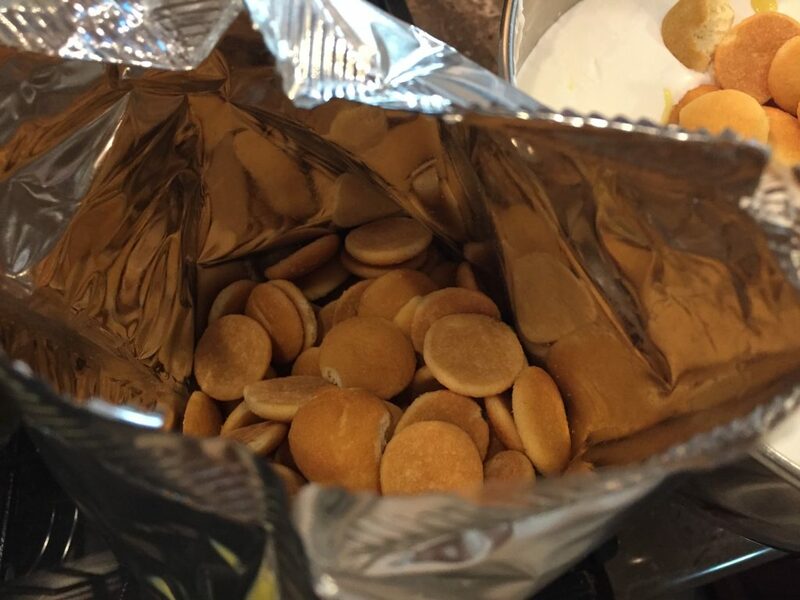 I used mini Nilla wafers. All of them. Yum. Yum. I did not layer them because that takes time and it was soooooo much easier to just mix them in the pudding. Peel and slice the bananas you want to use. I used one. I poured some pudding in the bottom of my casserole dish and placed a few pieces of banana on top. Then I made one more layer of pudding and banana slices. Then I poured all the rest of the pudding over the top and put it back in the fridge until lunchtime. Then I may or may not have licked the bowl. Quality assurance and all that. This was so good, I might not go back to the favorite recipe. Ever. Here it is on the table as everyone hovered above with spoons and bowls waiting to be let loose on the dessert. I promised I would not take any pictures of people eating or sneaking seconds. But you can take pictures of your fan club doing that. Prep Time: 5 minutes at night, then chill overnight. 10 more minutes in the morning and chill until lunchtime. In a medium mixing bowl, whisk or combine the instant pudding mix, the sweetened condensed milk and the cold water. Cover with plastic wrap and refrigerate overnight. The next morning, beat the cold whipping cream in a stand mixer with the whisk attachment. Continue beating until the cream gets fluffy and holds a stiff peak. You will know you are there when you pull the whisk attachment up and the cream stands up where the whisk was. If it folds over, that is a soft peak and you are almost there. With a spatula, fold the cream into the pudding and then fold all the cookies into the pudding/cream mixture. I sliced only one banana (because my husband doesn’t like very many banana pieces in his pudding). 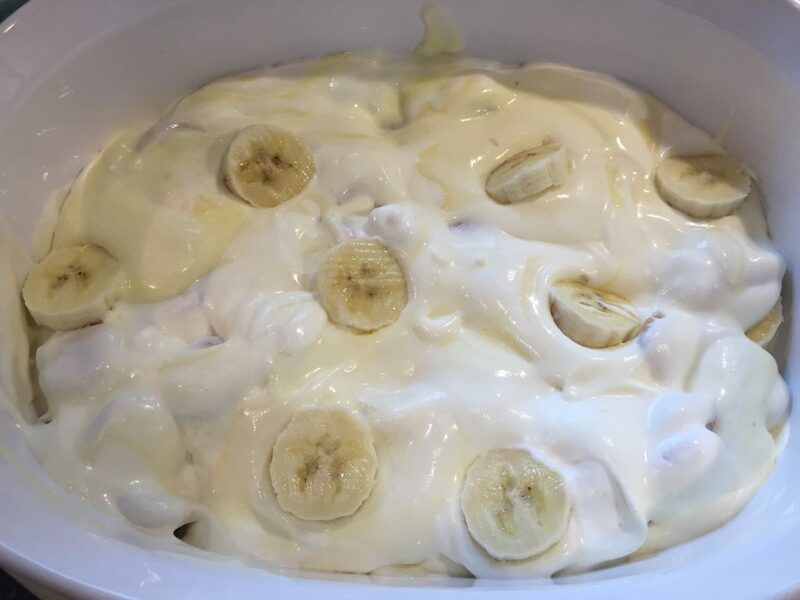 I poured some pudding in my casserole dish and then placed a few pieces of banana on top. I poured a little more pudding and then layered the rest of the banana pieces. Then I finished by pouring all the rest of the pudding in the dish. I did not layer the cookies. I was in a rush so I mixed them in with the pudding. I would definitely do this again because it saved me so much time. If you want more bananas, use more. If you want to layer pudding, cookies, bananas and pudding, then do that. In all, I spent less than 5 minutes mixing the pudding at night. Then I went to bed. After my coffee in the morning, I whipped the cream and added the pudding and the cookies. I poured this into my casserole dish. That took another 10 minutes. Then I refrigerated that until lunchtime and it was fantastic! This recipe is from Pinterest. It is called Magnolia Bakery Banana Pudding.